Weddings are expensive, and honeymoons can be even moreso. We believe that all newlyweds deserve the chance to get away together after their big day, so here we present the best, and most affordable, destinations in the UK for a beautiful honeymoon at a lower price. It’s a truth we all have to face up to that weddings can be expensive. The average couple spends £27,161 for their big day, and for some couples, this may mean having to cut corners in other places. The most common result is that the newlyweds have to indefinitely postpone their honeymoon, or not go at all – but we at Zankyou think it’s very important that couples get to spend this time together after their wedding day. 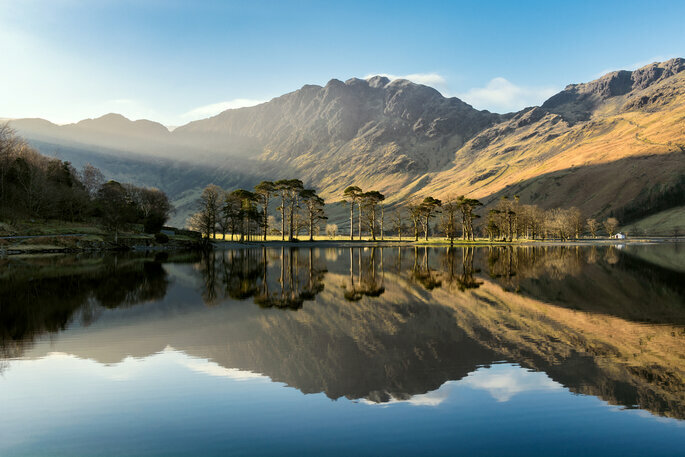 So we’ve compiled a list of some of the most gorgeous locations in the UK, which are not only romantic, scenic and largely remote for your lowkey honeymoon, but are also destinations that won’t even come close to breaking the bank. So scroll on, and discover some of the best and most beautiful places in Britain to go on your affordable honeymoon! 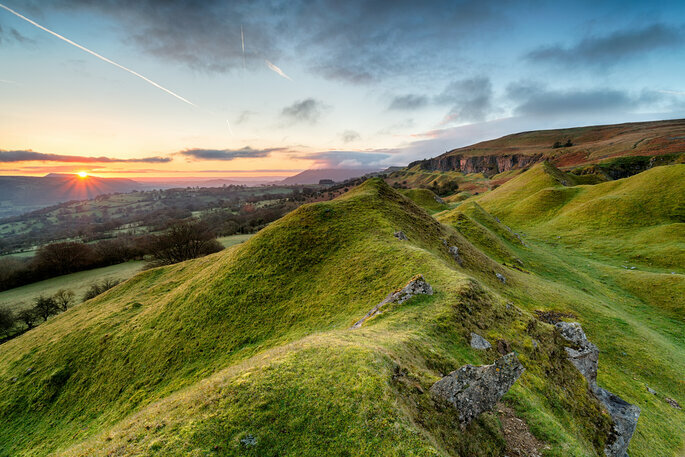 South Wales is famous for its many valleys and mountains, but the best among them is undisputably the Brecon Beacons. Located an hour and a half from the capital of Cardiff, there are several bus routes that lead you to this exquisite natural area, which has its own National Park, and is home to many large lakes including the Llyn Cwm Llwch and the Tor y Foel. This reclusive place gives you space to spend time together away from the hustle and bustle of daily life, with many places to walk, hike and explore. Pembrokeshire in West Wales is renowned across the UK for its beautiful coastal views, and is home to some of the best beaches in Britain, for those seeking sun, sea and sand for their romantic honeymoon. 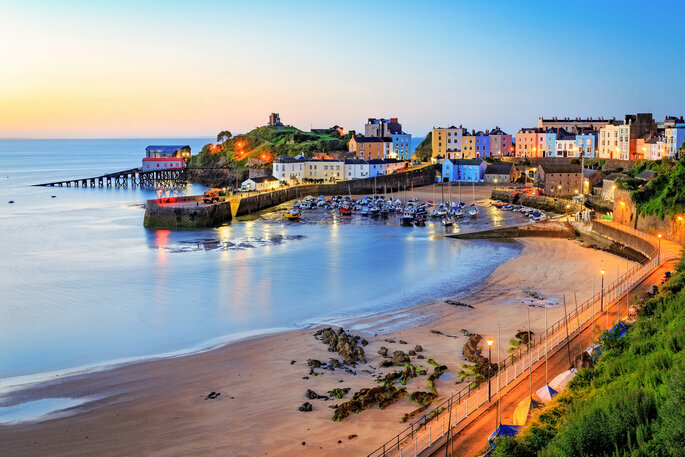 The town pictured is Tenby – with its artsy pastel buildings, historic features (including a majestic castle which has been standing since the 12th century), and great fresh seafood, this small town is a picturesque destination for those on a tight budget who are looking to relax on the seafront. Tucked away in the South-West of England near Bristol, you will find the Cotswolds – an idyllic rural county that has long been acknowledged as the jewel of the English countryside. 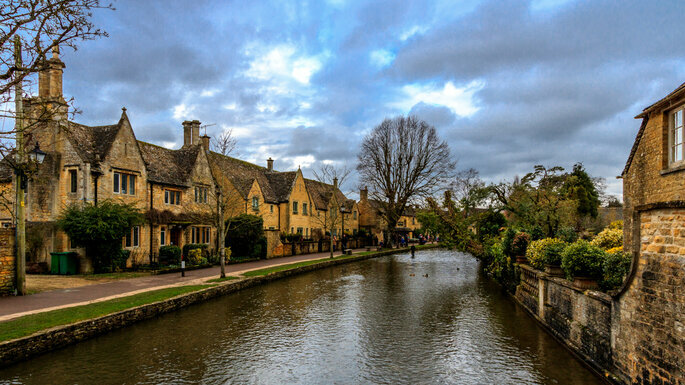 With very convenient transport links via train and car, the Cotswolds is the perfect escape from day-to-day life, with rustic architecture and an array of activities available, dependent on your interest. Within the area you can find the Westonbirt and Batsford Arboretums – the perfect place to take some romantic snapshots! – and it also stretches all the way to the spa city of Bath, which is definitely worth a day trip. 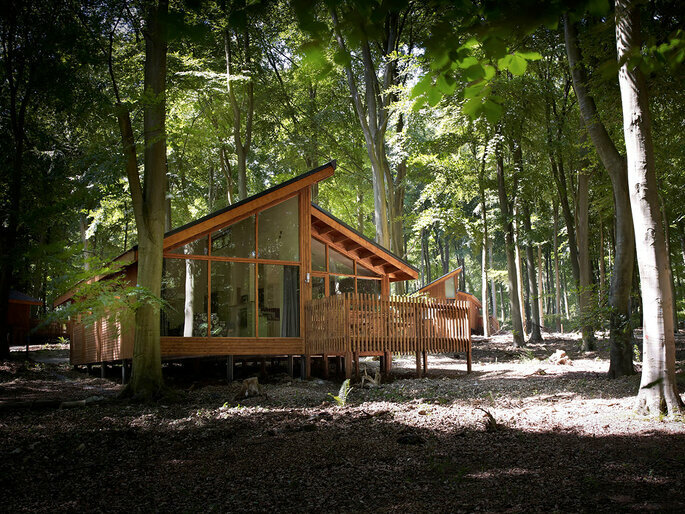 And within the Cotswolds, you will find another treasure – the Forest of Dean. Here is one of the most unique forms of accommodation that you could rent for your honeymoon (and we think one of the most intimate) – forest cabins. Fully furnished, but with that rustic, return-to-nature ambience, this is an ideal place to get away together – and, by using the exclusive discount code ZANKYOU18, you can get 5% of the total price of your holiday with Forest Holidays! Encompassing a vast portion of the Scottish Highlands and the Ben Nevis mountain region, Lochaber is the place where you can be cool, calm and absolutely carefree. Widely referred to as the “outdoor capital of the UK“, you won’t want to stay indoors on your honeymoon here. The nearby towns of Fort William and Glencoe permit a glimpse of the true Scotland to be experienced, and Inverness – as the “cultural capital” of Scotland – also boasts an impressive Victorian market, and one of the most stunning cathedrals in the world. 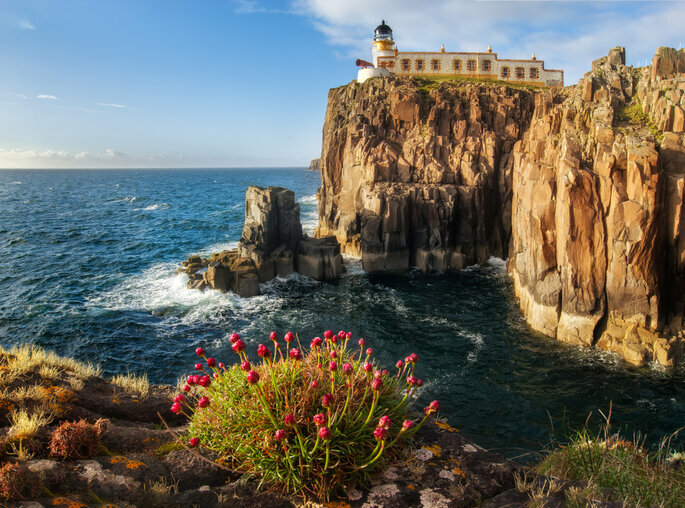 Romance personified, the Isle of Skye could easily double for the Spanish coast. You’re guaranteed an Oscar-worthy view from wherever you are along the coastline, and, particularly in summer, local wildlifes blooms. Perennially popular with tourists, this place may not be as serene as you would like from May through until August, but we’re convinced that the view alone is enough to counteract any annoyance. The main town, Portree, serves as base for anyone wishing to explore the island – and we would highly recommend that you do! What could be more exhilarating? 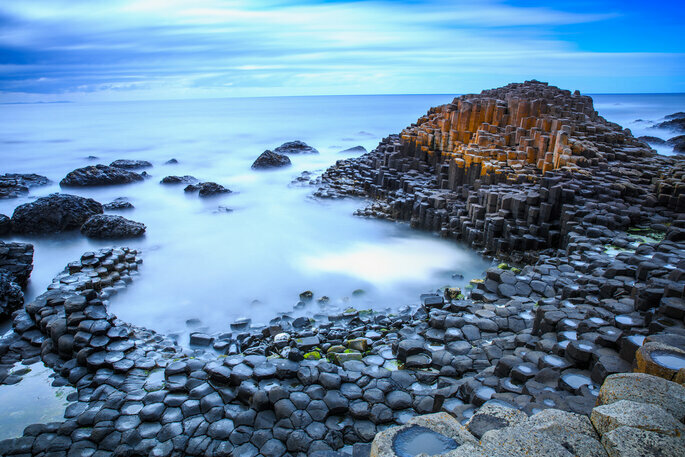 The Giant’s Causeway in County Antrim, Ireland, is the place on the postcard you’ve always wanted to see in real life. Mystical, magical, and perhaps even a little eerie in some lights, this natural landmark and its surrounding landscape is an area of outstanding beauty – and a wondrous place to celebrate your wedding in a lowkey way. 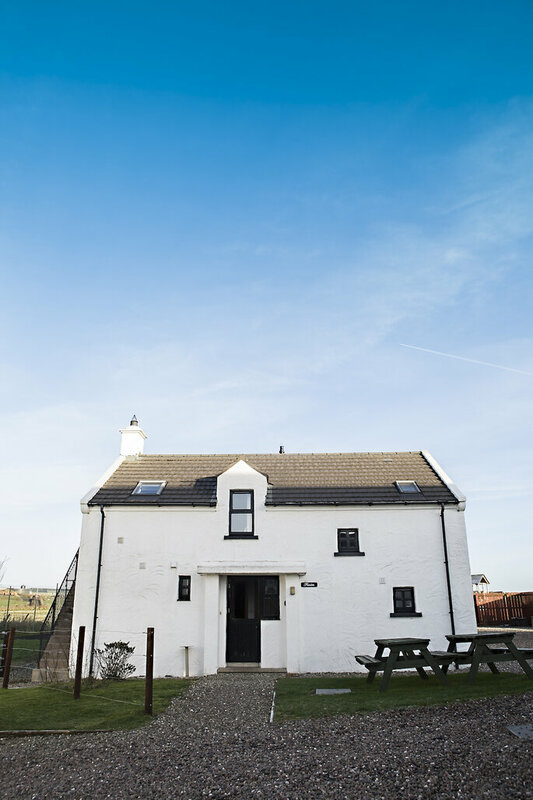 Easily accessible via bus, all you need to enjoy your honeymoon in this little patch of County Antrim is a bit of wanderlust and some sturdy walking boots. Here, the phenomenon known as “coasteering“ has also taken off – so you try your hand at a little adventure too! There are plenty of places to stay within this area of Northern Ireland due to its popularity, but one of our favourites are the Ballylinny Cottages; with nine available (though most are designed for bigger groups), all of these cottages have spectacular views of the countryside, and are also in walking distance of some of the locations where Game of Thrones was filmed. If you book well in advance, a seven night stay can cost you less than £400! Departing slightly from the outdoors theme that has guided most of our recommendations, we take a final breather with Dublin – arguably the best city in the United Kingdom and Ireland for your honeymoon. At once historic and modern, Dublin may initially seem like an expensive option, but flights remain reasonable all year around, and aside from the infamous Temple Bar, you can get a pint and a bite for less than €10 apiece in most places. 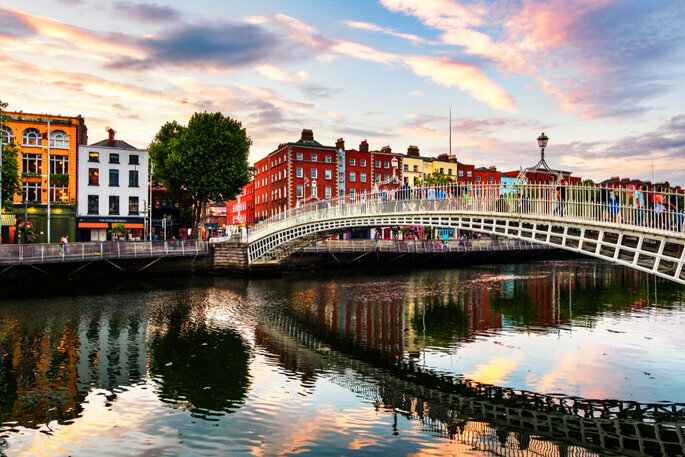 There is so much to see in this city – including the beautiful Ha’Penny Bridge where you can pin a lock with your names etched into it as a symbol of your love – and has some of the friendliest inhabitants in the British Isles. For an affordable city-break, there is no better place. You don’t have to spend the big bucks on your honeymoon to make it memorable. More than the destination or the hotel, just getting to spend time together without the intrusion of daily life is the most important thing that you can do to celebrate your marriage, and get off to a great start. So check out our favourite places as mentioned above, and you’re sure to find something affordable and amazing.